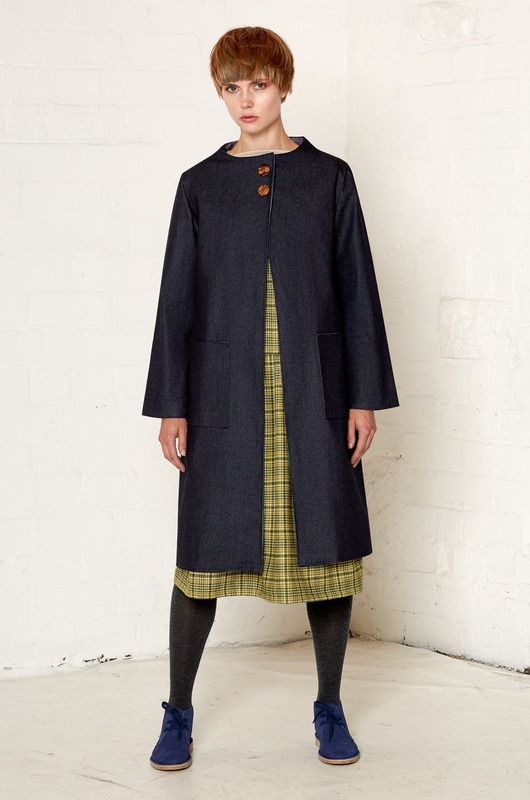 The Olivia coat is made from heavy weight fair trade organic denim and is fully lined with organic cotton for a comfortable, luxurious fit. 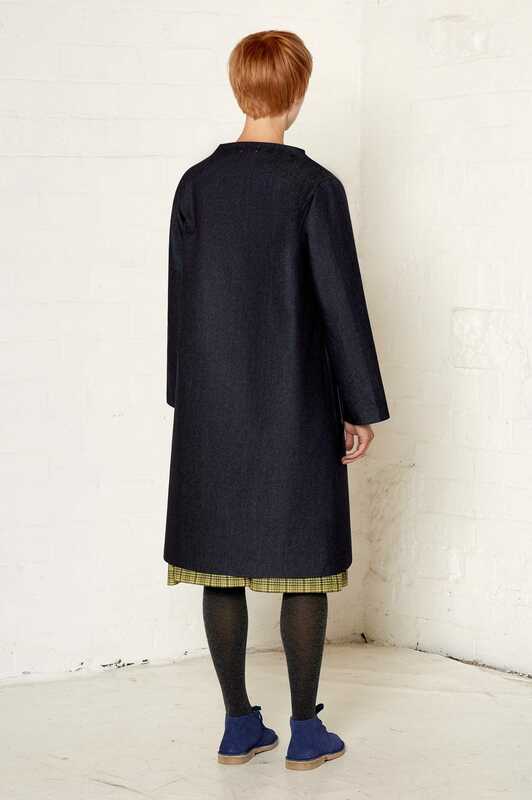 The coat is fastened with two hidden press studs behind decorative tortoiseshell buttons and has oversized patch pockets on each hip. The subtlety of these details brings out the beautiful texture of the organic denim. The weight of the material, together with the flared sleeves and straight cuts, creates a sharp, slim silhouette, which is softened by the elegant round collar. 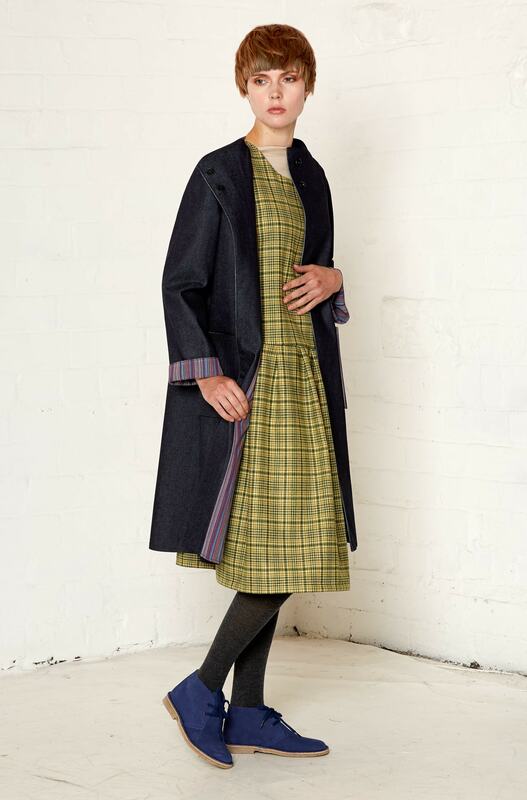 Complement the coat by layering it over patterned fabrics and bold colours.